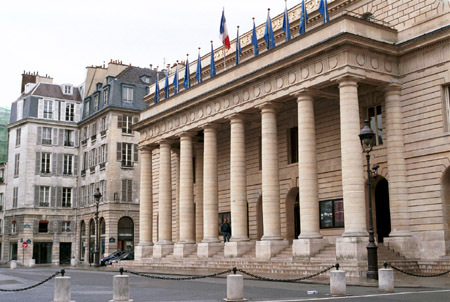 The Odeon theatre in its present form dates from 1819, though its origins go back to 1782 when the first incarnation of the theatre, built by Louis XVI, opened under the name of Théatre-Français. Subsequently the theatre changed its name several times, and was called Odéon for the first time in 1797. Destroyed by fire in 1799 it eventually reopened in 1808, but was damaged again by fire in 1818 and restored once more in 1819, when it acquired its present shape. 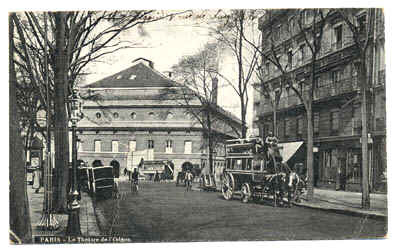 It is now called Odéon Théâtre de l’Europe. 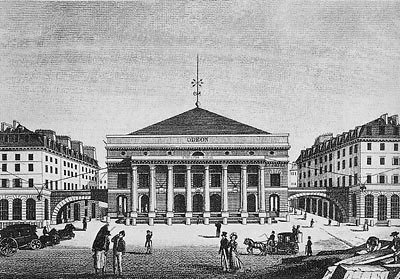 During Berlioz’s early days in Paris as a student in the 1820s the Odeon theatre was used for a variety of performances, plays, operas and ballets, and Berlioz was an assiduous visitor to it, as he had been from the start to the Opéra. It was at the Odeon that Berlioz first heard in the winter of 1824-5 Weber’s Der Freischütz, though it was not the original work composed by Weber but a travesty arranged by Castil-Blaze under the title Robin des Bois. Nevertheless it gave Berlioz a glimpse of a new and intoxicating style of music (Mémoires, chapter 16). Partly under the influence of Weber, Berlioz started composing in 1826 his early opera Les Francs-Juges on a libretto by his friend Humbert Ferrand; he destined the work for the Odeon, though he had a poor opinion of the taste of the Odeon’s public (CG no. 61; 15 July 1826). In the end, his hopes to have the whole work or excerpts from it performed at the Odeon came to nothing (CG nos. 70 and 71; 12 and 20 January 1827). 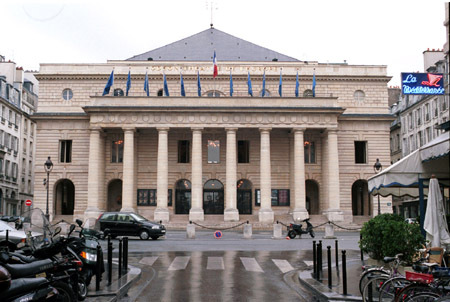 Permission was refused by the government to stage new works in French at the Odeon, and when Berlioz offered the work to the Opéra it was refused (Mémoires, chapter 11). The Odeon theatre had at the time a small but capable orchestra conducted by Nathan Bloc with whom Berlioz became friendly. Bloc accepted to conduct the first concert given by Berlioz that consisted entirely of his own music, though Bloc’s conducting left to be desired (26 May 1828; Mémoires, chapter 19). Two years later Bloc offered to conduct a first hearing of the newly composed Symphonie fantastique (May 1830), but the rehearsals had to be abandoned through lack of adequate preparations (CG no. 163; Mémoires, chapter 26). Subsequently the Odeon theatre figures little in Berlioz’s musical career, for a simple reason: music, whether operas or concerts, formed only a limited part of the theatre’s activities. In 1833 (24 November) Berlioz organised there a benefit concert for Harriet Smithson, but on his own admission the concert was a failure due to his inexperience as a conductor at the time (Mémoires, chapter 45; CG nos. 370, 398). 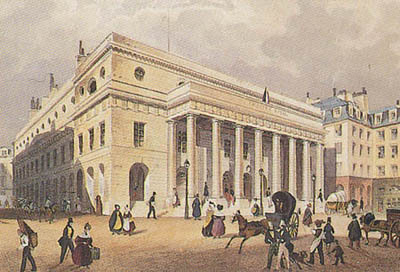 Years later, in 1844 (1 July) a benefit concert took place at the Odeon to raise money for the reconstruction of a charitable institution (the Hospice du Mont-Carmel) in which Marie Recio participated and which Berlioz helped to publicise. Musically of much greater significance is an item of information known from a letter of Berlioz dated 5 November 1844 (CG no. 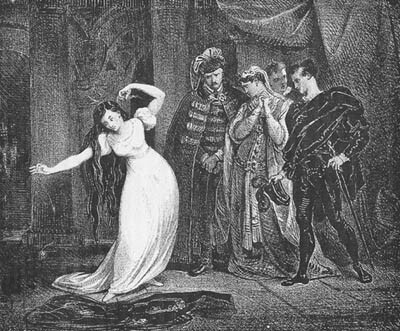 924): ‘I am writing the music specified by Shakespeare for Hamlet which is being staged at the Odéon in a verse translation by Léon de Wailly’. This must refer to the piece that became later the Marche funèbre pour la derniere scène d’Hamlet, for wordless chorus and orchestra, one of his greatest works (though it was never performed in his lifetime). The impression made on my heart and mind by her extraordinary talent, I should say her dramatic genius, was equalled only by the havoc wrought in me by the poet she so nobly interpreted […] Shakespeare, coming upon me unawares, struck me like a thunderbolt. The lightning flash of that discovery revealed to me at a stroke the whole heaven of art, illuminating it to its remotest corners. I recognised real greatness, real beauty, real dramatic truth. […] I was alive… I understood… I felt… that I was living, that I must arise and march forward. It is beyond the scope of this page to pursue in detail either of these two intertwined topics, the influence of Shakespeare on Berlioz, and Berlioz’s long and ultimately unhappy relationship with Harriet Smithson. 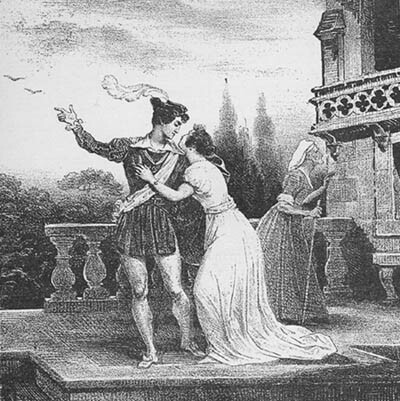 As is well known, Shakespeare was the direct source of inspiration of several of Berlioz’s most important works, starting with the Ouverture de la Tempête, the overture le Roi Lear, the dramatic symphony Roméo et Juliette, the ballade La Mort d’Ophélie and the Marche funèbre pour la derniere scène d’Hamlet just mentioned, and his last major work the opera Béatrice et Bénédict. But the influence of Shakespeare was all-pervasive; it went far beyond these works and affected his entire outlook on life. Of his great five-act opera Les Troyens, ostensibly based on Virgil’s Aeneid, Berlioz himself said: ‘the score was dictated at once by Virgil and by Shakespeare’ (CG no. 2341). For a full examination of the influence of Shakespeare on Berlioz the reader is referred to the study by Gaëlle Loisel, La Musique au défi du drame. Berlioz et Shakespeare (Classiques Garnier, 2016). We could neither live together nor leave each other and we experienced this dreadful dilemma over the last ten years. We have suffered so much because of each other. I am just back from the cemetery, and am all on my own; she lies on the slope of the hill which looks towards the north, towards England where she never wanted to go back. The modern photographs reproduced on this page were taken by Michel Austin; other pictures have been scanned from engravings, postcards and books in our own collection. © Monir Tayeb and Michel Austin. All rights of reproduction reserved. A copy of this lithograph by Salathé is in the Library of the Paris Opéra. This is an early 20th century old postcard. The lithographs reproduced below are by Devéria and Boulanger and were published in a 19th century book in our collection. © (unless otherwise stated) Monir Tayeb and Michel Austin for all the pictures and information on this page. This page created on 19 October 2000; new version substantially enlarged on 1st January 2018.